The What: Da-Lite's Parallax 0.8 is an ambient light rejecting technology worthy of pro AV applications. The What Else: It features an advanced optical lens system that mimics the look of a television when it is on and off but without the glare from windows or lighting fixtures. 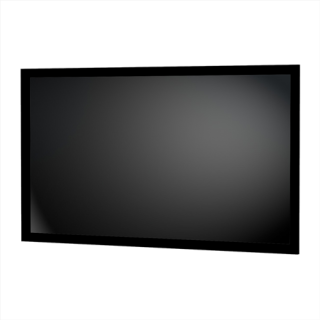 Parallax is made up of multiple layers to achieve its light blocking properties and superior viewing angles. Special film layers block and absorb ambient light and improve contrast. A diffuser layer works to maximize half-gain angles up to +/- 85 degrees while a black layer helps with contrast and color reproduction. A protective low-gloss top coating provides protection and reduces glare. The fixed frame screen is a flexible surface with an easy-to-assemble frame.